Canned Netflix original Sense8 is returning later this year for a two-hour finale and now, the company has revealed the premiere date via a gorgeous new poster, which gathers all of the wonderful sensates that captured our imagination over the course of two seasons. As you can see in the gallery down below, the show will return to tie up all its loose ends on June 8th, giving fans the chance to get some closure before they say goodbye to their favorite characters. In fact, it’s that very fanbase that we have to thank for this series finale in the first place, as when Sense8 got the axe, they launched a petition in a last-ditch attempt to sway Netflix’s decision. It didn’t work, mind you, as the show remains cancelled, but it did convince the online streaming giant to commit to the upcoming two-hour special that will hopefully send off the sensates in style. Brought to us by acclaimed filmmakers Lana and Lilly Wachowski – along with co-creator J. Michael Straczynski –Sense8 first began back in 2015, when Netflix had already established a string of bankable heavyweights in the vein of House of Cards and female-fronted hit Orange is the New Black. Faced with near-insurmountable odds, the cult sci-fi series was able to carve out an audience to call its own, even if the viewing figures and extremely high production costs for season 2 didn’t warrant a renewal. 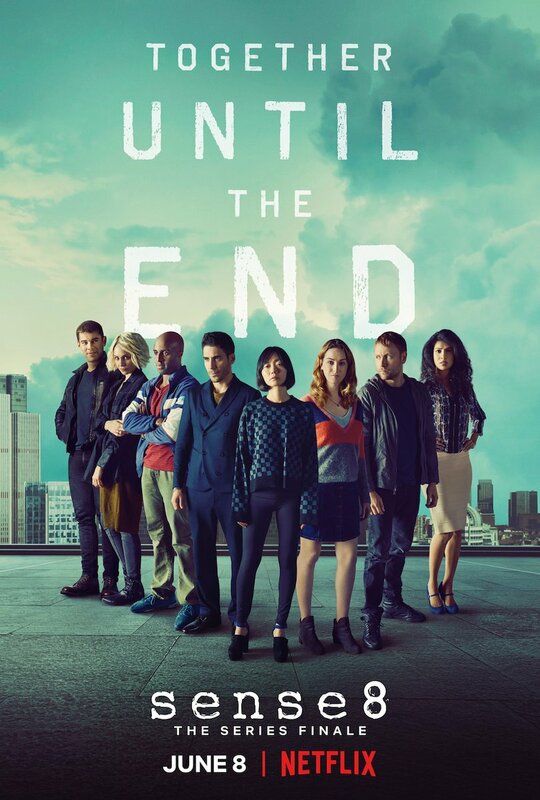 Thankfully, though, the fans pulled through and now, we can all look forward to welcoming the likes of Toby Onwumere, Doona Bae, Jamie Clayton, Tina Desai, Tuppence Middleton, Max Riemelt, Miguel Ángel Silvestre and Brian J. Smith back onto the small screen one last time to say goodbye. “It’s happening. Two-hour finale episode. Tell your cluster.” Netflix has officially nailed down plans to stage a fitting swan song for its peculiar and, sadly, short-lived genre oddity, Sense8, and it’ll all go down on June 8th. The only question now, is, will you be tuning in?